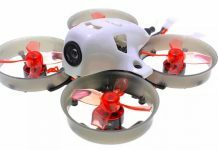 Pocket quadcopters like this DHD D1 are appreciated because they are affordable and extremely portable. For beginners I always recommend to start with small and inexpensive models. Crashes always happen and it’s not a good idea to throw out the window a $500 model. 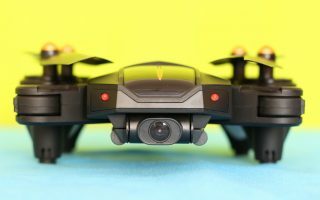 There are many interesting micro quadcopters on the market and is a tough decision, especially for newbies, which one worth more. On my Qadcopter reviews section you can read more about few of them. I hope that will give you at least some suggestion regarding which model fits more for you. This tiny DHD D1 pocket quad has one of the most lightweight design (7g) and I think that will be a very good sold model. BTW, with the size of 23x23mm it is probably the smallest one too. I found on the internet many DHD D1 reviews, some of them are very good, made by professional writers so it is hard to add something new. Anyway, as usual I will try to do my best to reveal many useful information regarding this product. When my wife saw for the first this little drone, she asked me “aren’t you too old for this toy?“, I answered her that “the quadcopters are like boobies to me, I like them all, huge ones and small ones too 😀“. My 6 year old son is very happy when I receive small multi-rotors for review because he expects to test and fly them together to me. I let him play by his own only with the small ones because those tiny 2-3cm propellers can’t do any harmful injuries. The DHD D1 is packed well in a transparent plastic box that reveals only the aircraft, the remote controller and all other accessories are hidden in the bottom of the box. My first impression holding it in my hand was: WOW, this is damn small. It is even smaller than my other pocket quadcopter, the FQ777-124. There are not too many included accessories with the D1 pocket quad. I found inside the box only the USB charging cable, one set of spare propellers and a tiny instruction guide. Because there is little room on the sides of the aircraft, the power switch is on another side than the charge interface which is the “biggest “clue where is the rear of this toy. 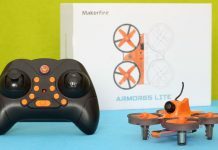 The aircraft is powered with a tiny built-in 80mAh battery that allows around 5 minutes of continues play time. Those tiny motors can become very hot after just few minutes of flight with full throttle. The battery can be recharged via any USB port (computer or smartphone charger) with the included cable. I don’t now if it would worth to repair a $17 toy, but those who wish to do it must know that it can be found all the spare parts from the receiver board, motors to the transmitter. Yesterday I had the chance to fly it, both indoor and outdoor. It is very stable and easy to control. For outdoor flights I recommend only days with very gentle wind. 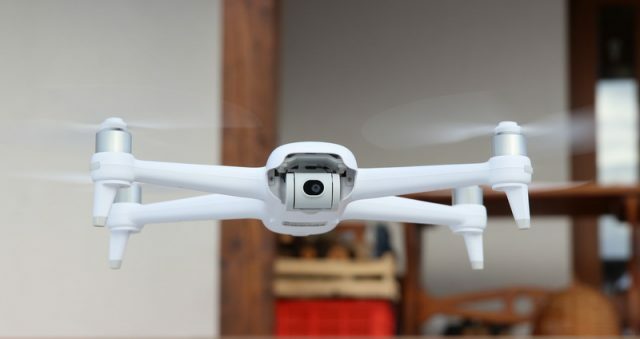 By long pressing the left stick, the quadcopter can be switched between 3 working modes: low-speed, high-speed and headless flight. My biggest challenge during the preparation of this DHD D1 review was to capture it with my camcorder when it flies. It is so small that is very hard to get it in focus and to follow it. Anyway, it does all the flight tricks like the bigger ones. One of the greatest advantage of the D1 Quad is that it can be stored and transported in its remote controller. I think this micro pocket drone looks like the perfect gift for newbies. For those who became curious and want to try it, the DHD D1 can be ordered for $16.99 from Banggood. 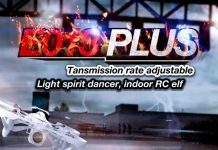 Adjustable speed rate (low and High). It is a re-branded Cheerson CX-Stars Mini! I think that is just perfect for beginners because of good stability and a acceptable yaw rate.